Once again Kearston Gonzales, violinist and Kendall Gonzales, cellist will provide musical offerings during the worship service Sunday, May 27. 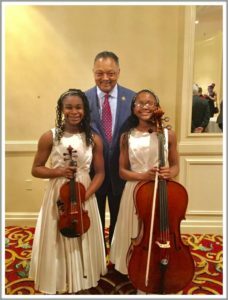 V iolinist Kearston Gonzales, age 13, started her musical education at the age of 3 with the Suzuki Violin Method and began private study with Dorothy Mauney of Hilton Head at the age of 5. Kearston is the first place winner of the 2018 Hampton Roads Philharmonic Concerto Competition and 2nd place winner in the 2018 Richmond Symphony Orchestra Concerto Competition. In February she performed Mozart’s “Concerto in D Major” in a masterclass with violinist Tianwa Yang. In April Kearston performed the “Theme from Schindler’s List” with both the Lowcountry Wind Symphony and the York River Chamber Players. This summer Kearston will attend The Center Stage Strings Summer Music Camp at the University of Michigan on a full merit scholarship. Cellist Kendall Gonzales, age 11, started her musical education at the age of 2 and currently studies with Michael Daniels of the Virginia Symphony Orchestra. Kendall is the first place winner of the 2018 Bland Music Competition Local and District Level Concerto competitions. Kendall has performed in masterclasses with both Amit Peled and Zuill Bailey. 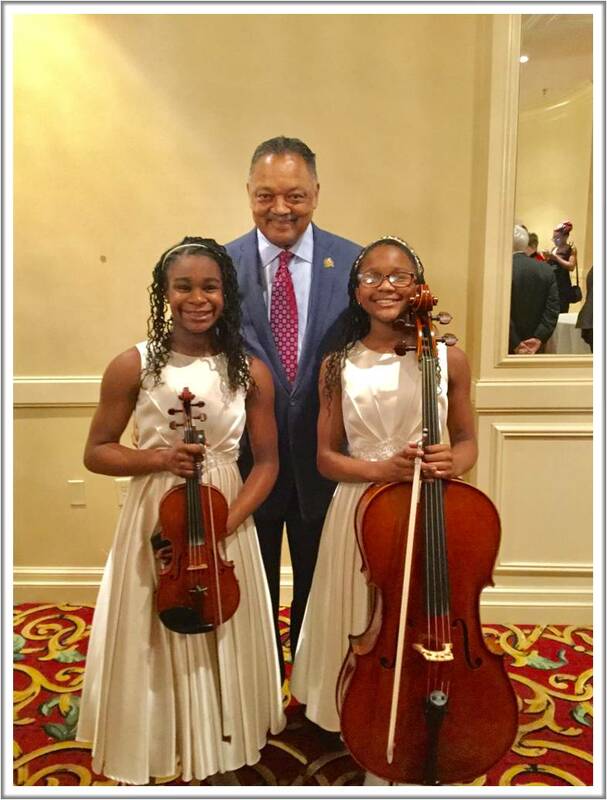 In January Kendall soloed with the Virginia Symphony Orchestra performing Haydn’s “Cello concerto in C Major” for the annual Martin Luther King Jr. Songs for a Dreamer program. She also soloed with the Hampton Roads Chamber Players and the Hampton Roads Philharmonic in February and March of this year. This summer Kendall will attend the Heifetz PEG a program for Exceptionally Gifted String Players on a full merit scholarship. 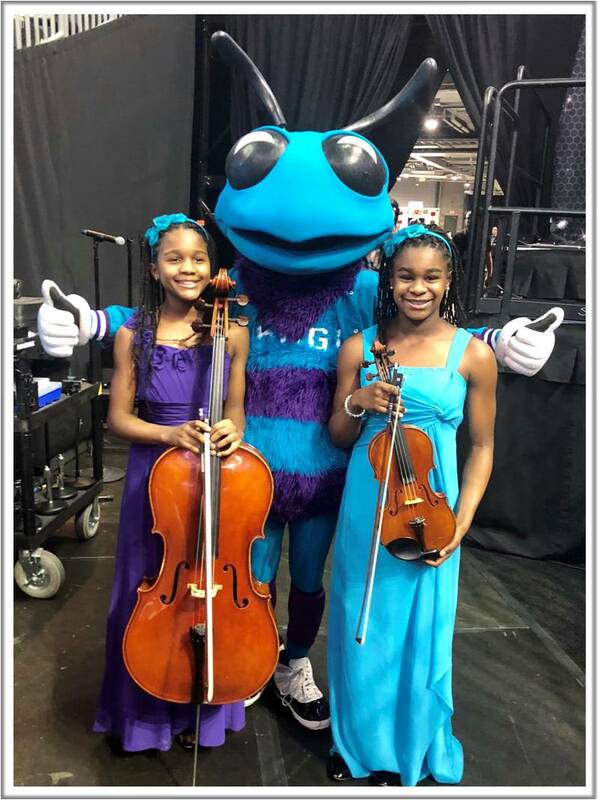 As a duo the girls performed the “National Anthem” in March 2018 for the Charlotte Hornets vs. The Phoenix Suns and performed in February at the International Civil Rights Museum where Reverend Jesse Jackson was awarded the Lifetime Civil Rights Achievement award. Our worship experience will be greatly enhanced by their talent and musical offerings.